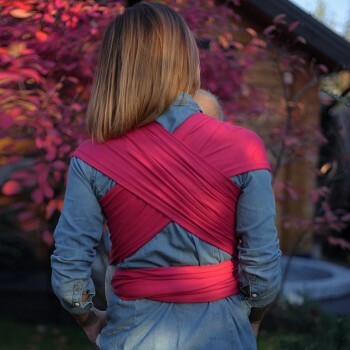 The Love & Carry® Fuchsia wrap is made of 100 % cotton of the best quality which is only elastic in its width. 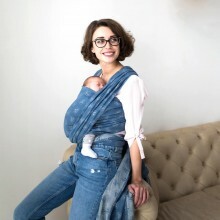 This makes it a bit more user-friendly compared to woven wraps and it will still not sag under the weight of the child. The soft fabric gently covers the baby and shapes itself to the shape of the baby and parent. The elastic wrap is a real “beginners” wrap.